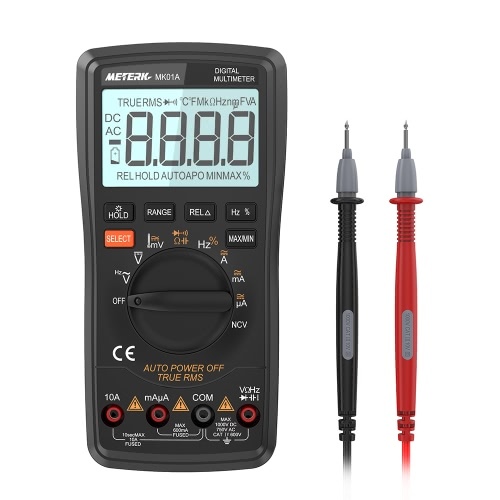 Want to find a stud or AC wire? 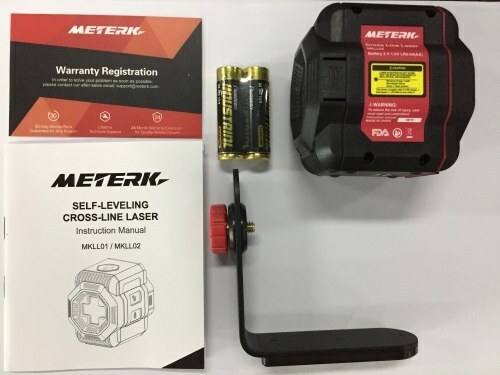 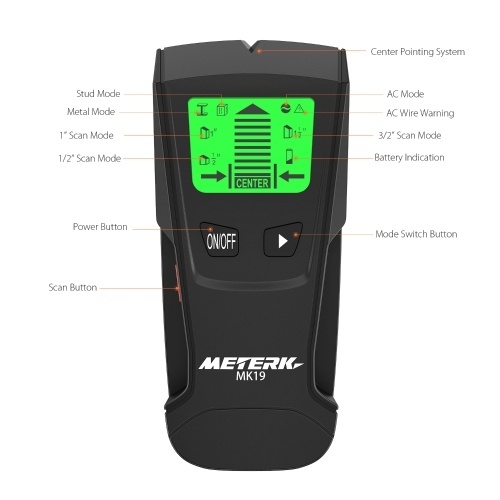 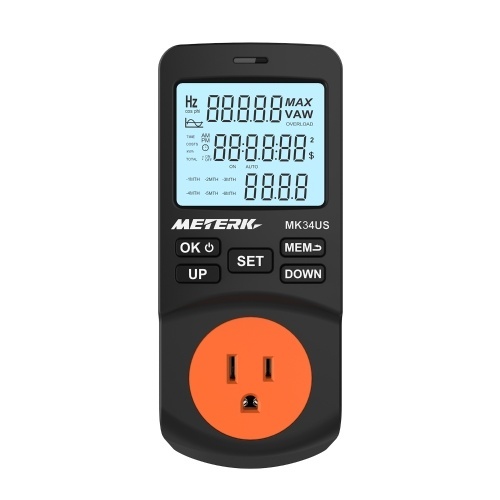 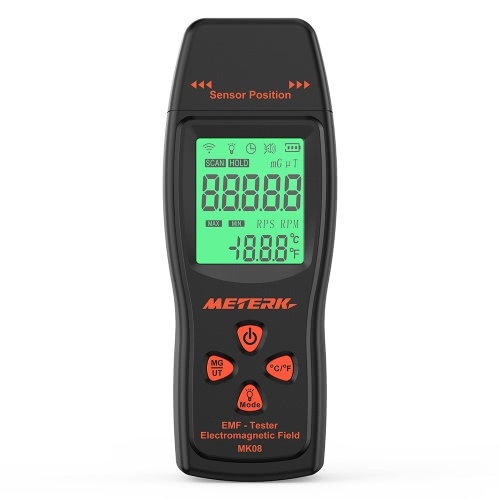 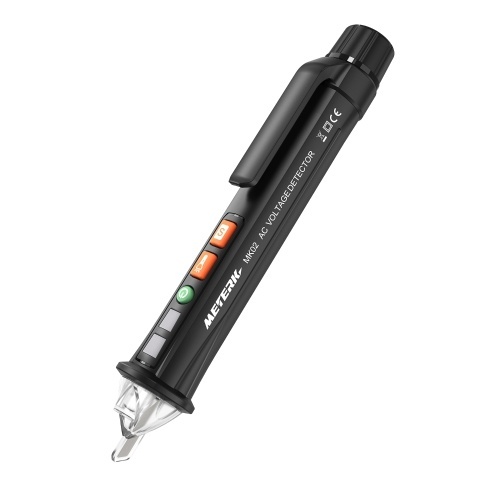 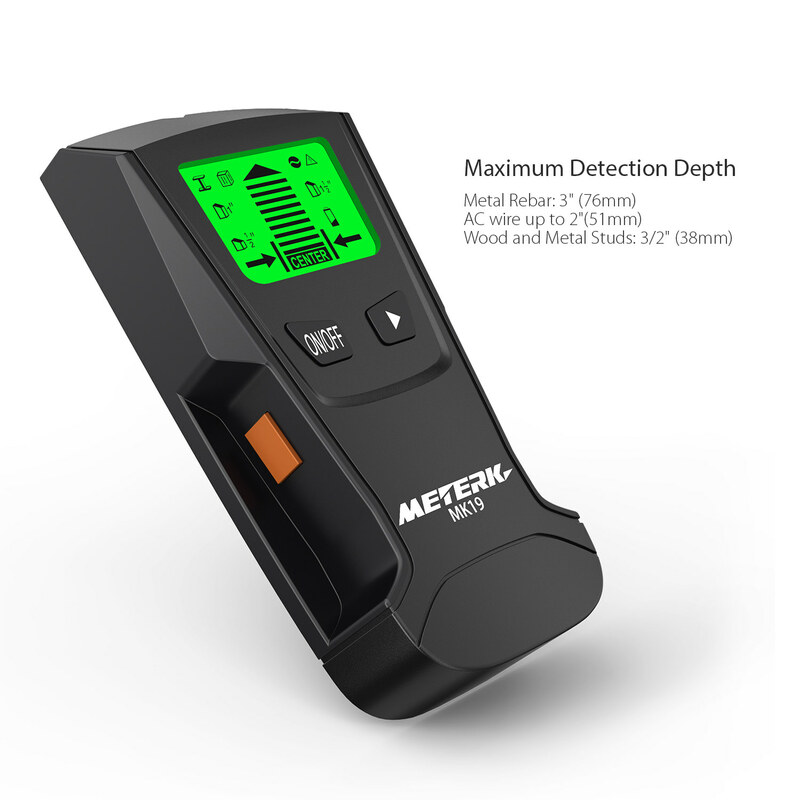 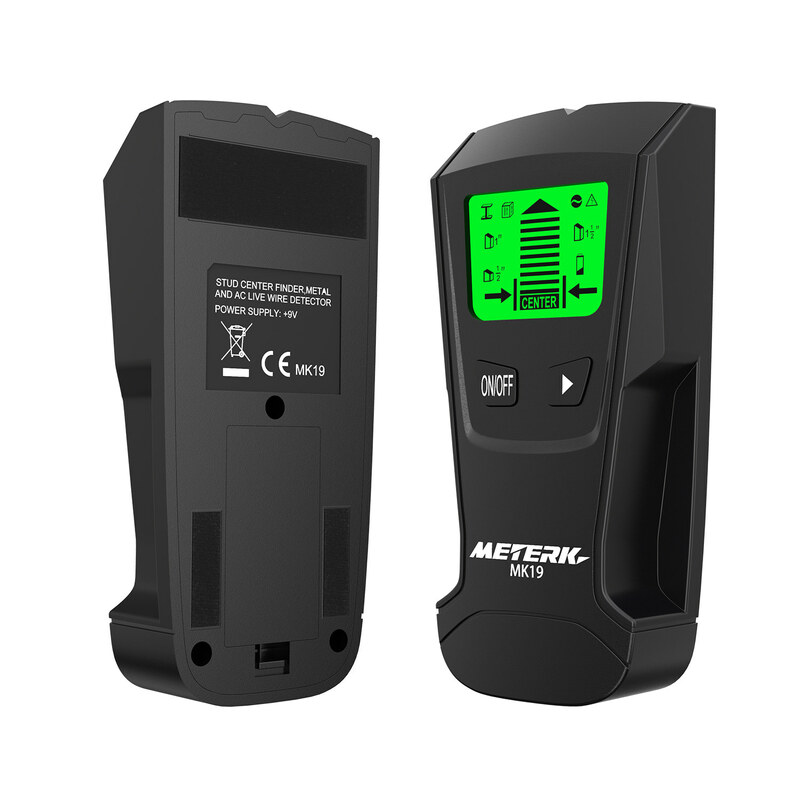 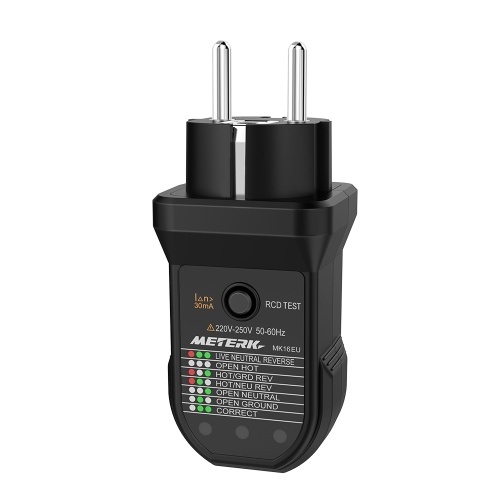 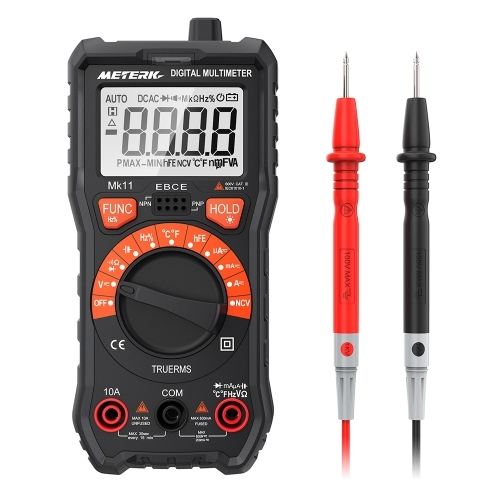 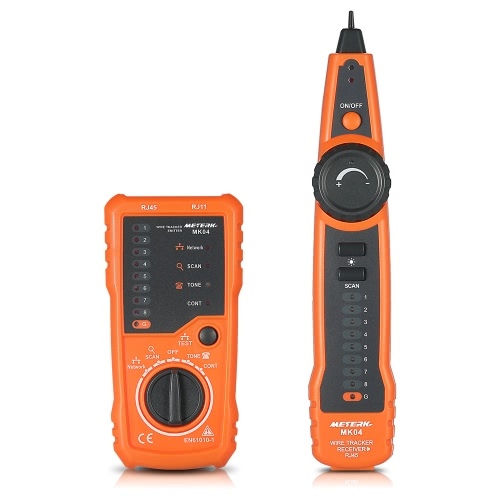 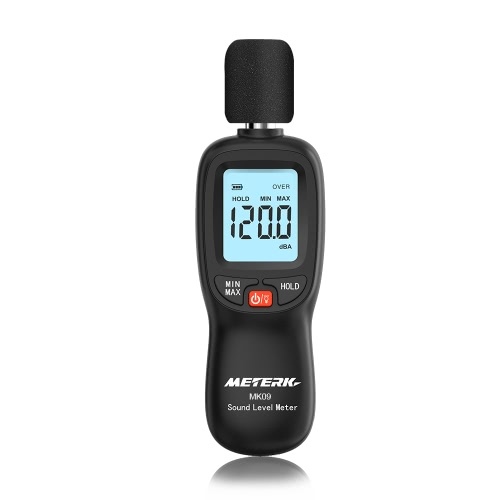 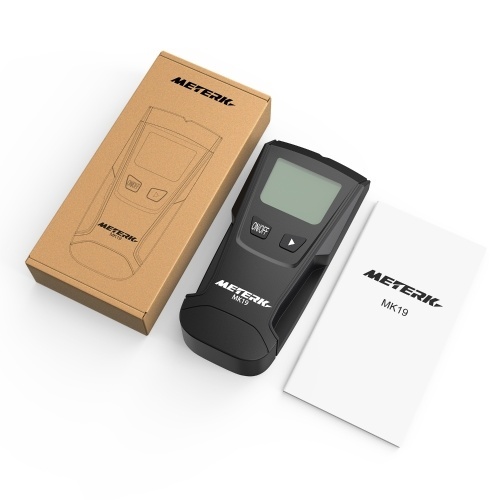 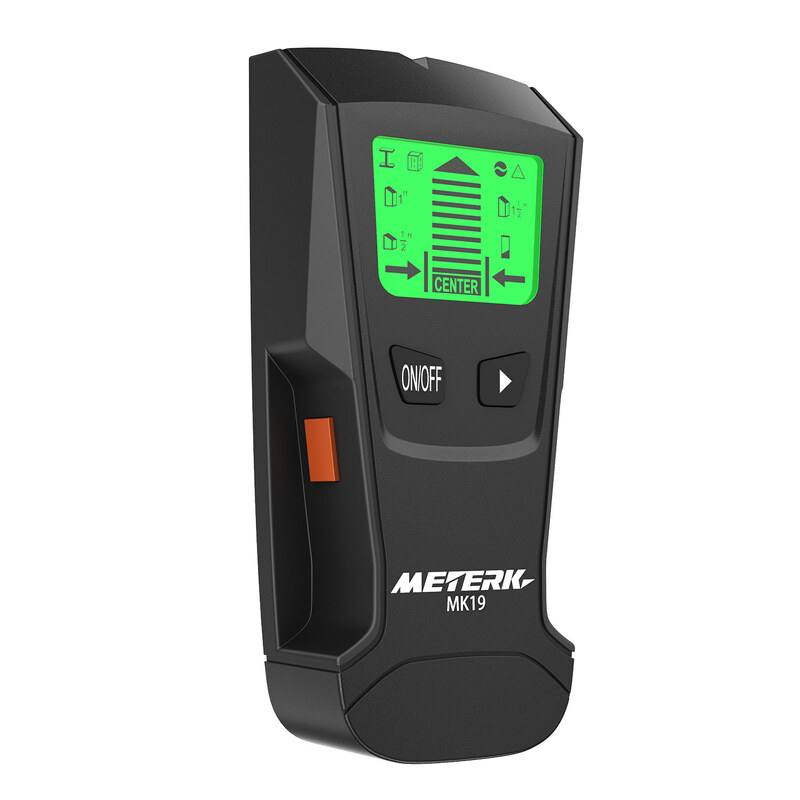 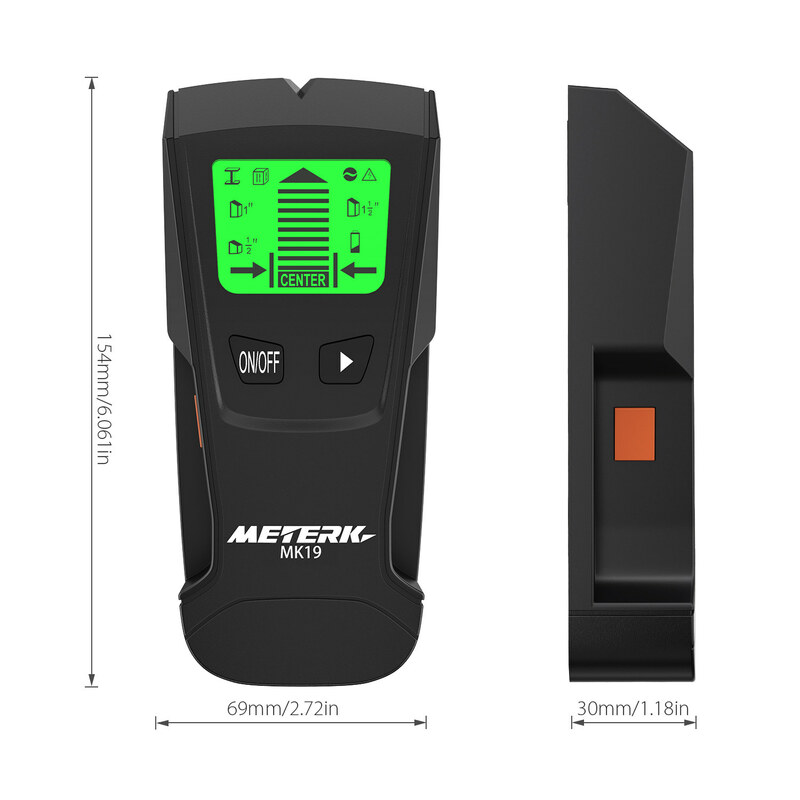 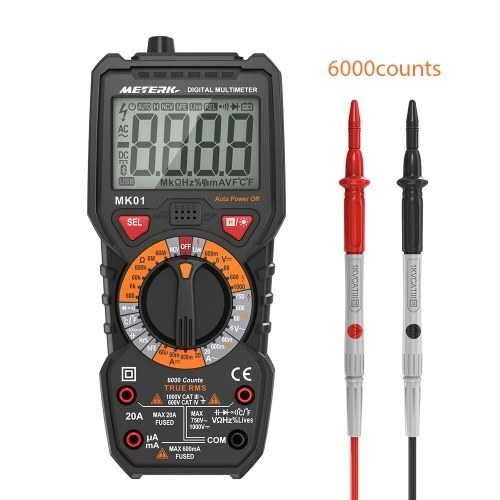 Try the Meterk Stud Finder! 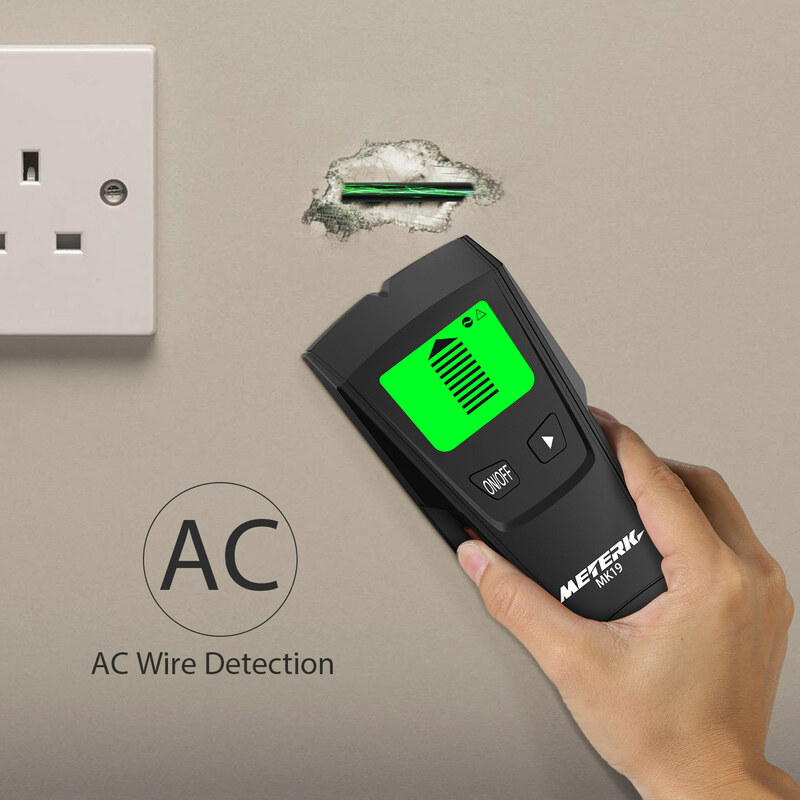 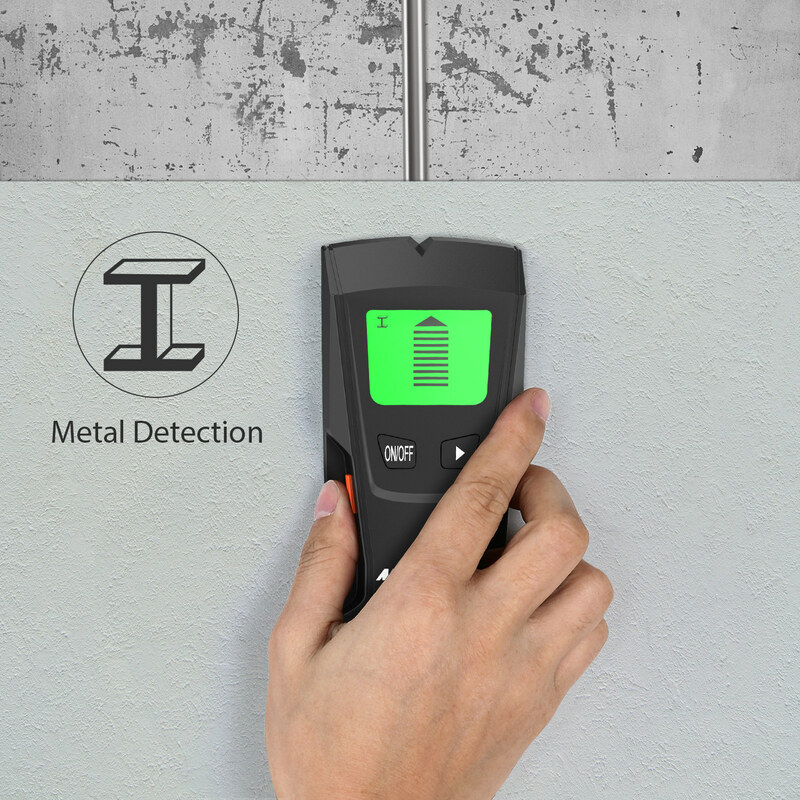 It's a handheld wall detector with high sensitivity for home decoration, which could help you locate hidden metal pipes, live wire, stud and metal frames accurately when you want to dig a hole to hang a picture or install shelves. 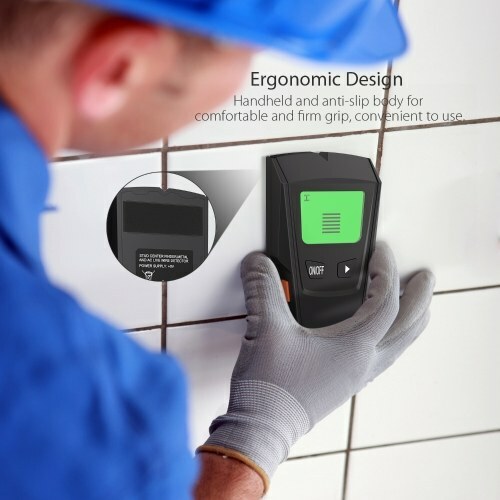 Ergonomic Design: Handheld and anti-slip body for comfortable and firm grip, convenient to use. 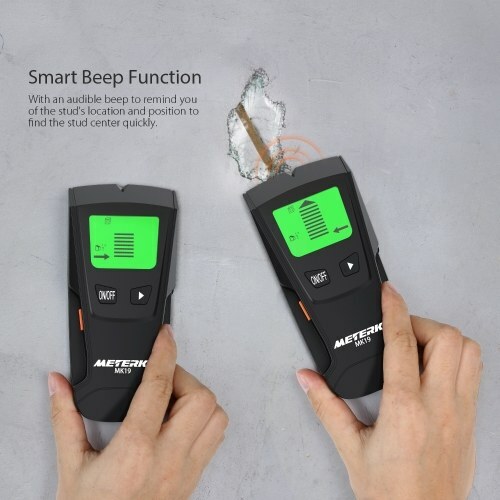 Smart Beep Function: With an audible beep to remind you of the stud's location and position to find the stud center quickly. LCD with Backlight Display & Audible Indication: Large LCD digital display with illuminated graphical and sound signal indication, also with battery level indication. 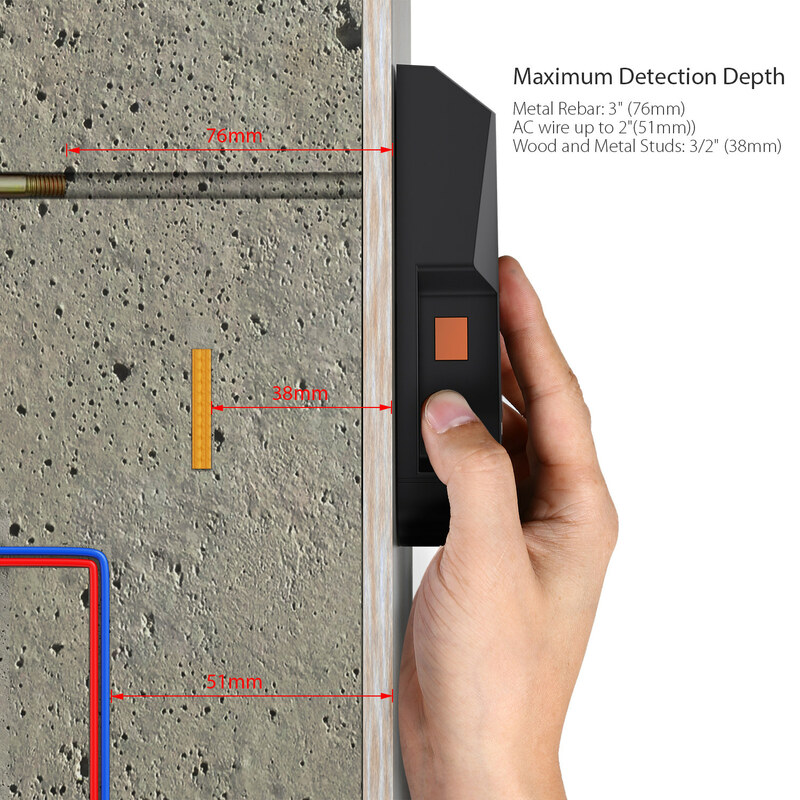 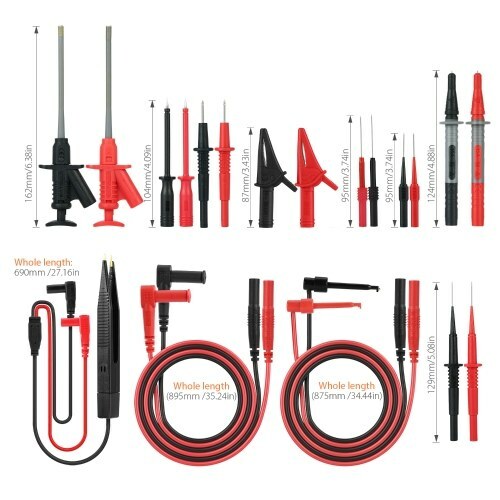 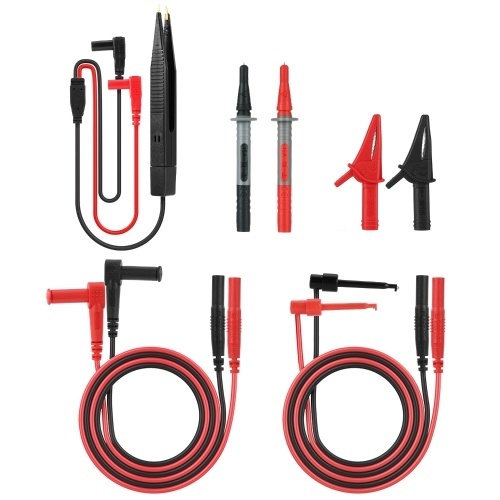 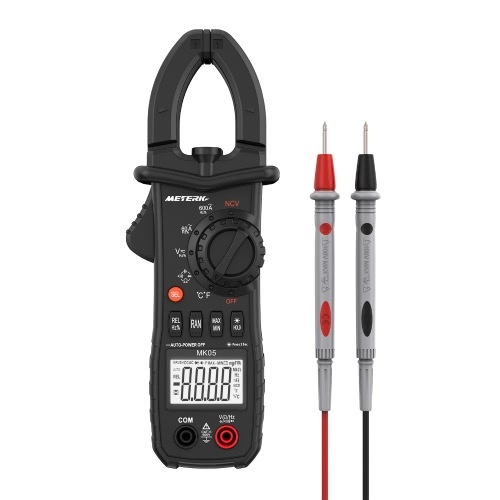 3 Detecting Modes: Detect metal studs up to 3/2"(38mm), metal rebar or pipe up to 3"(76mm) and AC wire up to 2"(51mm). Automatic Calibration: Fast adjust the detection automatically for precise detection and locate edges and center of metal studs, pipes, rebars, joists behind walls, floors and ceilings, also indicate the presence of live AC wiring.